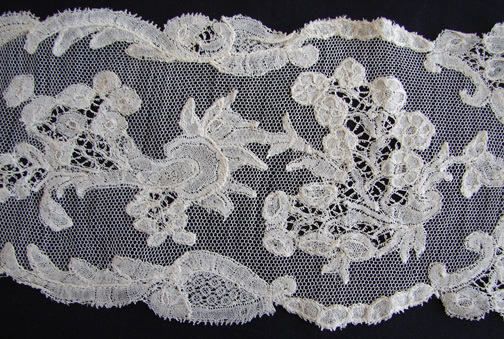 Mainly good condition, but the lappet seems reapplied on a later net, one edge seems shorter. 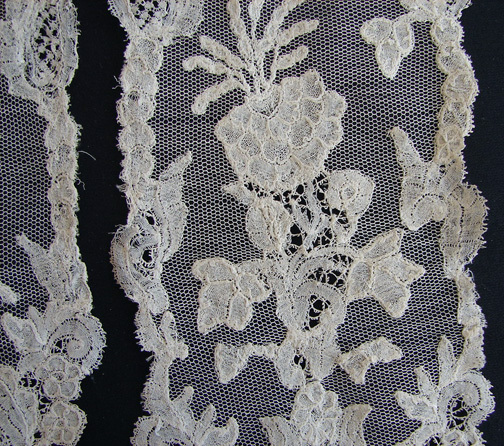 All the motifs match but one on the edge seems shorter. 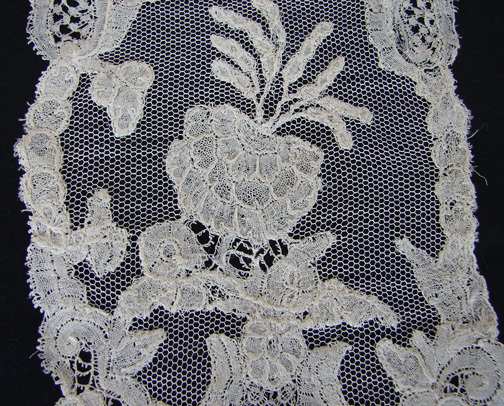 Buyer may view and return. 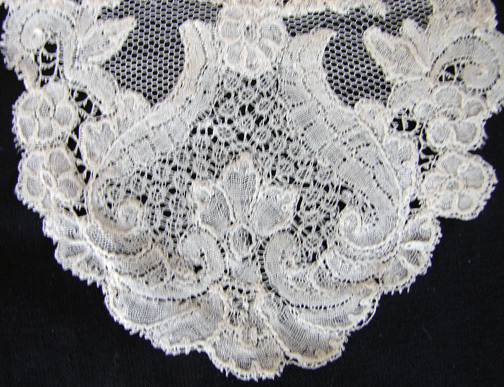 Otherwise a few minor openings. 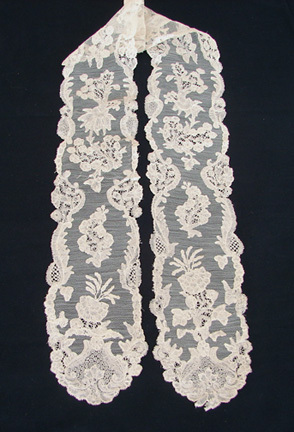 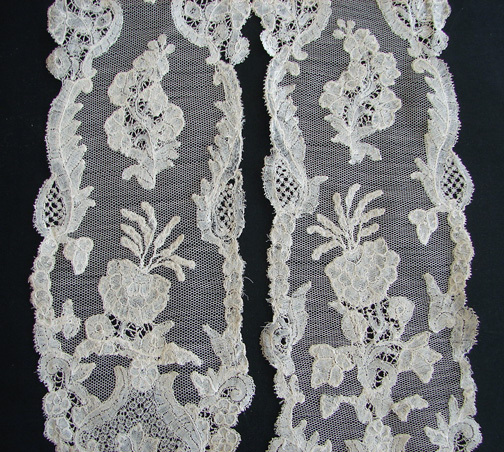 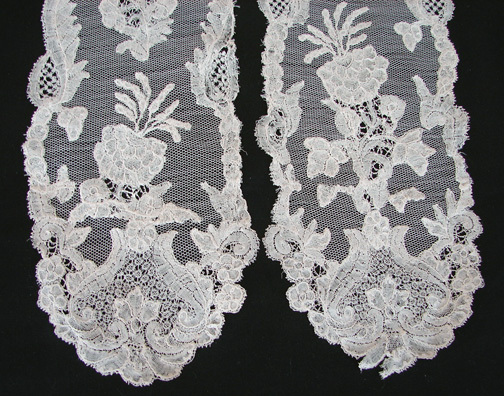 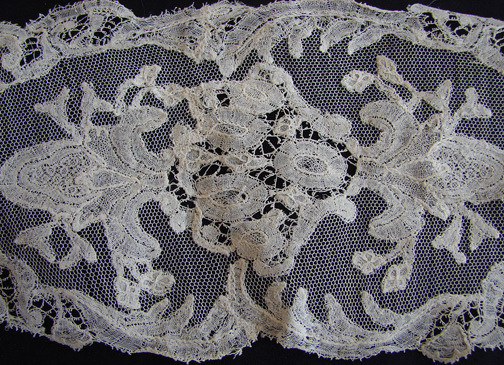 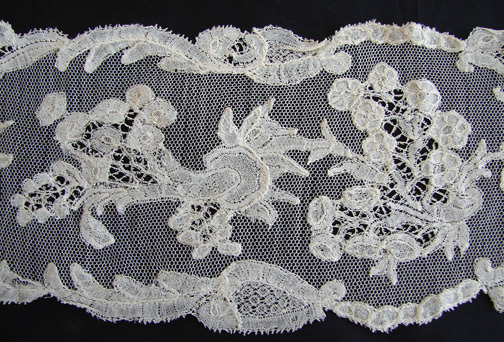 All lace came from a prominent New York collector, the lace was stored away for many years.